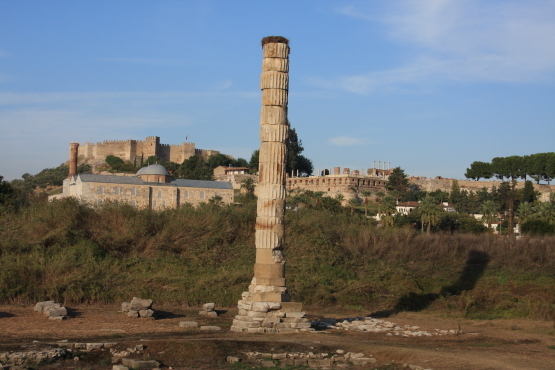 The Temple of Artemis , also known less precisely as the Temple of Diana, was a Greek temple dedicated to the goddess Artemis and was one of the Seven Wonders of the Ancient World. It was located in Ephesus. 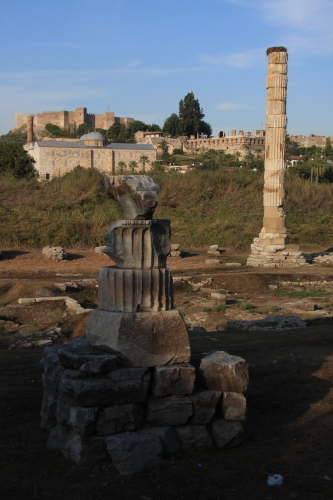 Today temple, which lies just outside Selçuk, is marked by a single column constructed of dissociated fragments discovered.